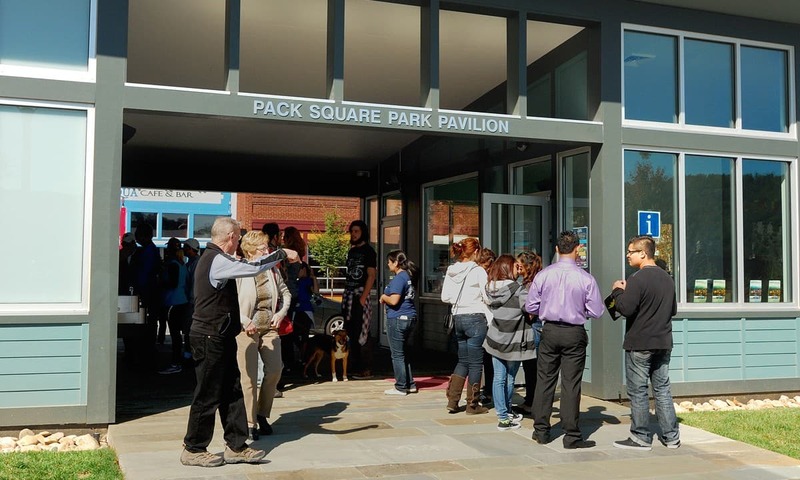 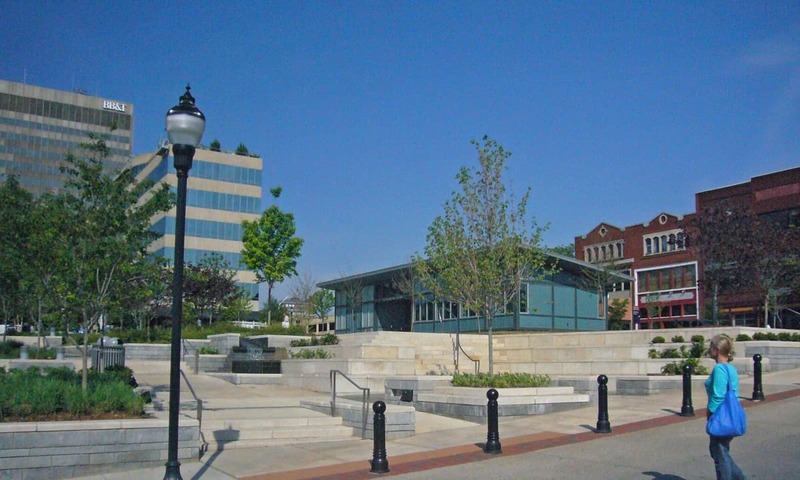 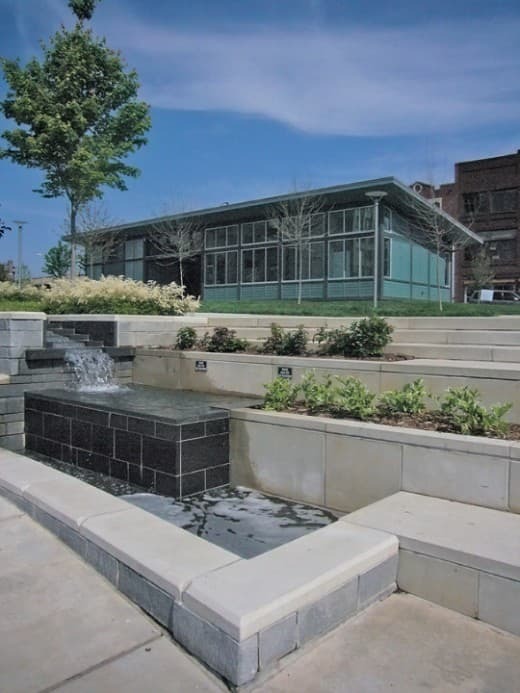 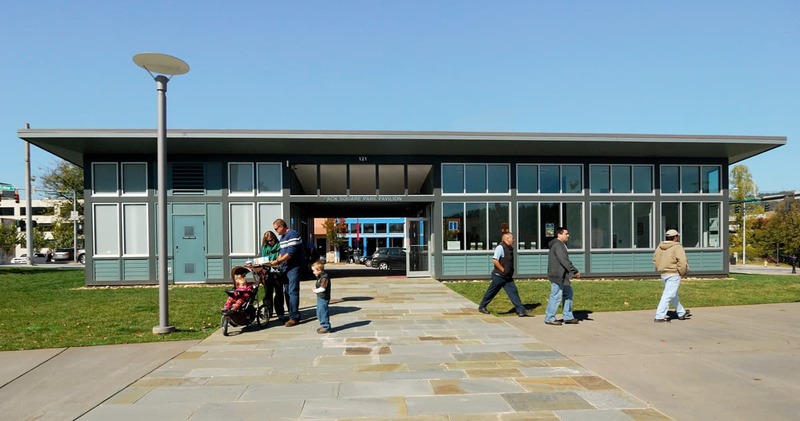 Located on College Street in the heart of downtown Asheville, Pack Square Pavilion serves as a visitor and information center for Pack Square Park. 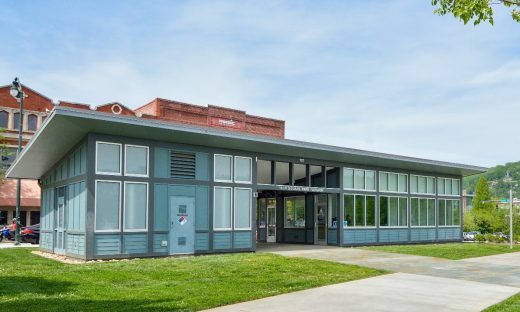 The building also is the Park’s public restroom facility. 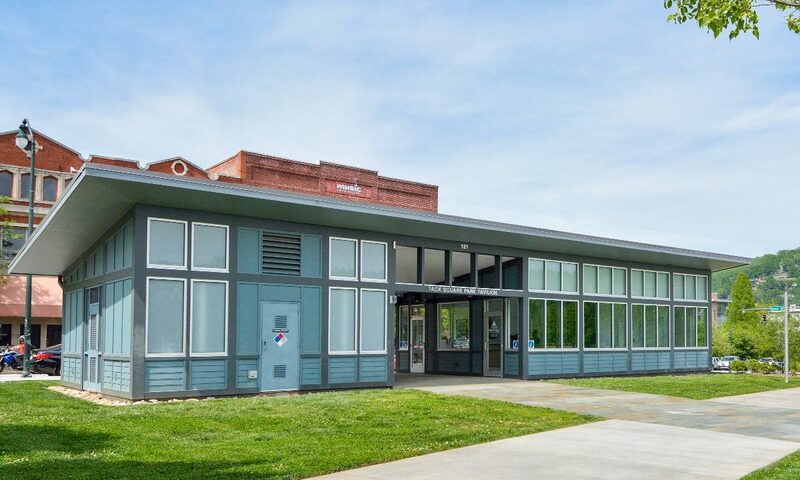 A striking feature of the visitor center are the expansive views of the park while the custom-built visitor’s desk highlights the pride Asheville takes in the craftsmanship of its local artisans. Completion of the Pavilion is the culmination of state, county and city collaboration, with careful incorporation of sustainable construction methods, and the creative use of a metal-building structural system to conform to guidelines for buildings within Asheville’s fire district. 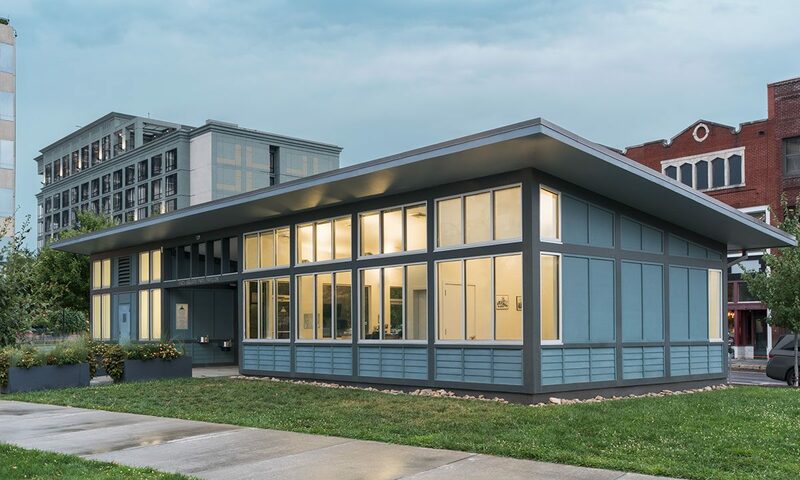 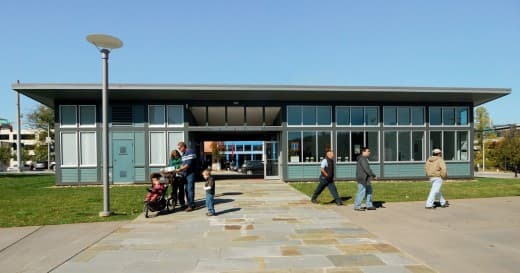 This 2,000 square foot center incorporates Low-E windows, a high-efficiency mechanical system (completely hidden from view), low flow plumbing fixtures, concealed plumbing vent stacks, energy efficient lighting and low VOC finishes.